Can I be honest with you? I wasn’t the brightest growing up. I had the worst possible combination of skills you could imagine: I was dumb and airheaded. So much in fact that, back when I was 8 years old, I once had a sandwich in one hand and grabbed a rock with the other… You’ll never believe what happened next. Ok, who am I kidding, you know the answer! Anyway. My life as an artist hasn’t always been easy because of this. Back in 2005 when my passion for art was starting to surface, I stumbled upon deviantART. Yes, the largest online art gallery on the internet. But, like I said, I was dumb and also couldn’t yet speak much English (I’m Spanish). So, when I landed on an adorable animation of Cloud’s song on deviantART, I didn’t realize it was just the account of a single artist in a website full of artists. I thought this was the online gallery of one person. The person who had created that adorable animation. And I thought that artist was called ‘Deviant’, hence DeviantART. Dumb – I told you! ​I was so sad about this. I wished to have my own place to showcase my art. Not realizing that was exactly deviantART’s purpose. And, while it’s one of my favourite anecdotes to share with people because I find it adorably amusing, it also upsets me greatly. It wasn't until 2 years after that event that my brain made the connection and I realized deviantART was not someone’s personal gallery. Two long years where I could have been learning all kinds of art techniques, sharing my initial attempts at ‘arting’, or meeting other artists… Wasted. In 2007 I joined deviantART and the rest is history. 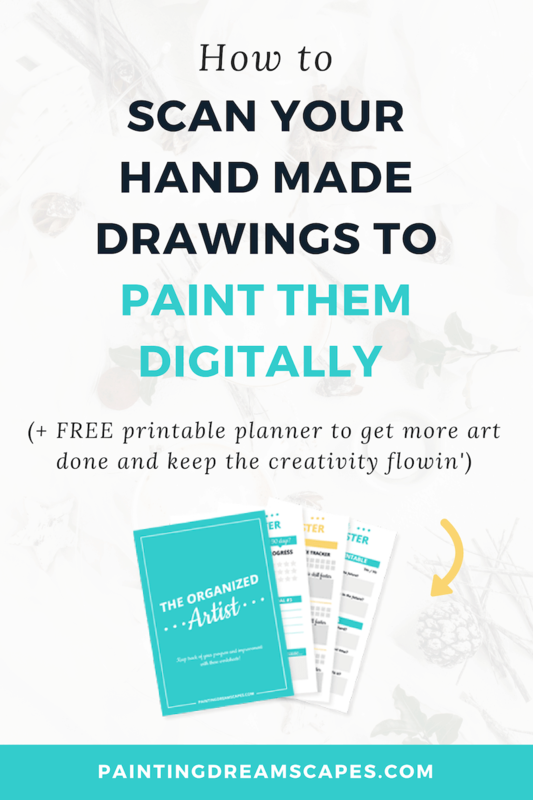 The reason why I wanted to share this with you (apart from what I said about this being amusing to me) is because I know how important knowing these things can be (no, not that I was dumb growing up – the ​artist communities you can join to promote your art online). 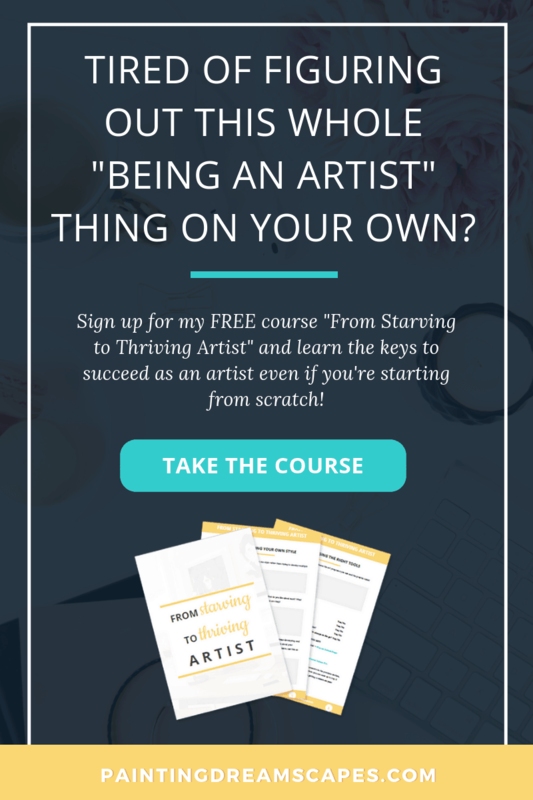 I want you to know where you can ​share your art online to grow your audience and help you improve your skills. 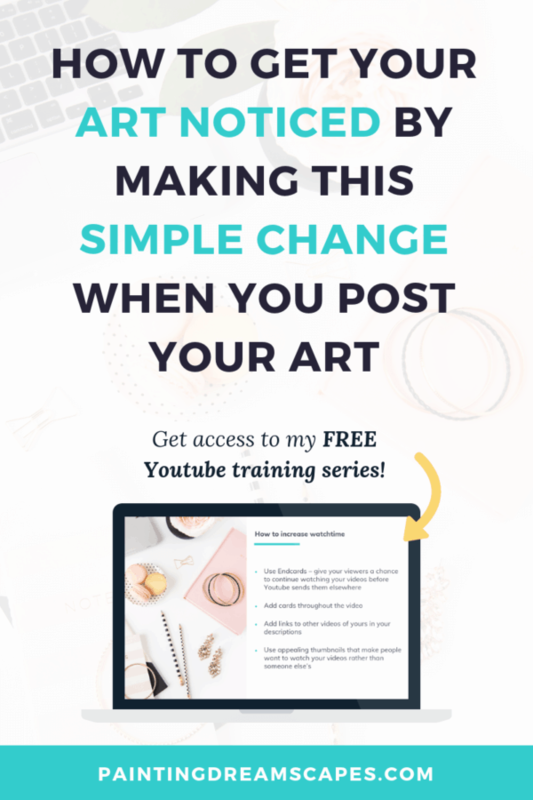 ​So, by the end of this article you’ll know exactly where to ​share your art online​ to grow your audience. Although deviantART isn’t what it used to be anymore, it’s still the best place for growing artists. DeviantART is more than just a place where you can throw your art and call it a day. It’s a buzzing community full of growing artists and professionals alike. It has one of the largest libraries of tutorials on the internet, all free to access. Created by artists, for artists. I can’t tell you how many tutorials I read and followed on deviantART to help me improve my skills. If it weren’t for the selflessness of other artists sharing their tutorials on deviantART, my art wouldn’t look like it does today. I may have given up on art altogether out of frustration. It also allowed me to meet likeminded people and artists who shared my love for art and for other things like fandoms I was a part of. For most of my life, I never had any real life friends that were into art. I do now, but back then it felt very lonely not having anyone to share my art with and practice together. I met many of my best friends through deviantART and we’re still friends to this day. It felt good to have others to learn from and also help them improve in return. It felt like a cozy community. Don’t underestimate the positive influence belonging to an artist community can have on your art and skills. Apart from that, deviantART helped me grow my audience by helping me reach people who were interested in my art. There are so many places to engage with the community, share your art, comment on others’ art, participate in contests, offer your services as an artist in the job offers forums, etc. During my time there, I was awarded a few Daily Deviations which are site-wide features that help you get your art seen by thousands of users. This kind of exposure can help you grow your audience faster. Plus, since it’s only given to artworks that are deemed to be really good, you also feel like you’ve received an award. Who is deviantART a good fit for…? ​Who is deviantART not recommended for? • Not the best fit if you want to use it as an online portfolio for your art to apply for art jobs in a professional way. You may want to have your own website for this or use something else like ArtStation or Behance. • People who want to post mature content art of underaged characters (fictional or otherwise). Artstation is one of the best art websites I’ve joined. It’s full of amazing art by incredibly talented artists, many of which are industry professionals. You can often see official concept art created for movies and video games posted by the original creators. 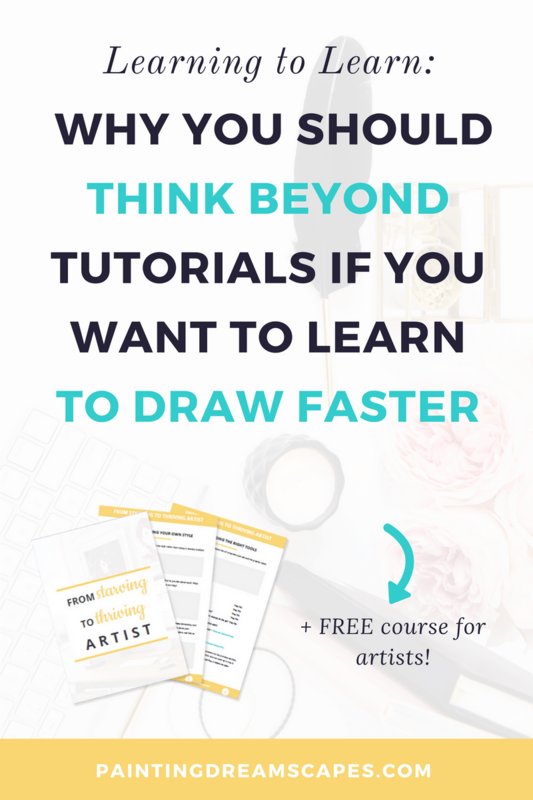 It’s the ​best art website to join if you need a boost of inspiration and creativity, on demand. The design is sleek and brings the artworks to the spotlight. Everything else takes the backseat while you focus on the artwork. ArtStation has an entire section dedicated to connecting artists to companies via their Job Board page. You can see a lot of companies posting job offers and looking for talented artists to join their ranks. It is the place to be if you want to find a job in the industry and you have no other connections. Companies pay to advertise their job offers on ArtStation so you know they are serious and truly looking to hire talented creators. I haven’t taken enough time to truly check ArtStation’s community in depth but it doesn’t seem as community based as deviantART. It feels to be more focused towards showcasing your art and finding your next job. However, I do need to dive deeper to confirm or debunk this impression. Who is ArtStation a good fit for…? • Intermediate to advanced artists. I feel ArtStation works better for artists who are well versed in art and have great artwork to showcase. It will help you get your eyes in front of the right audience to build your network. • Artists who want to work in the gaming industry and want to have their art on the platform that can connect them with potential companies to work for. ​who is ArtStation not recommended for…? 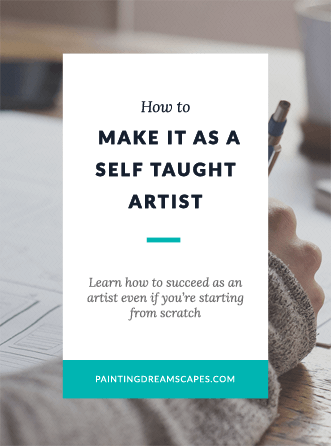 • Beginners who don’t yet feel confident about their art. Being surrounded by incredible art can make you feel like you’re not good enough and damage your confidence even more. • Anyone who joins it hoping to find one-off freelance work to make a quick buck rather than serious jobs in industry companies. Youtube isn’t an artist community ​like the others​, but it’s a huge search engine for video content and visual art that you just can’t ignore. This platform has the potential to get your art seen by thousands of people and wildly grow your audience if you play your cards right. As a search engine, your content can be found at any given time, whereas on sites like Facebook or Instagram, once your post is a few hours old, it’s lifespan is over. Using Youtube allowed me to grow my audience drastically. I grew my subscribers from 40 to 14,000 in a couple of years but you could grow even more if you’re consistent with your upload schedule. Youtube also offers the possibility to monetize your content after you reach the requirements to become a Youtube partner. Once you’ve reached 1000 subscribers and 4000 hours of watchtime in your videos, you will be able to join the program. After becoming a Youtube partner, you will be able to place ads on your videos and earn ad revenue from them. Apart from ads running on your videos, you may also be able to work with brands you love to promote their products to your audience. Moreover, it has the potential to be your first source of income related to your art or a very important one. I don’t recommend that you rely on Youtube exclusively, though. But it’s a good source of income as well that you can complement with others, nonetheless. ​Engaging content that people are interested in watching: speedpaintings, animations, art improvement videos, collaborations with other creators, etc. ​A consistent upload schedule – Youtube favors those who post content frequently and regularly. It may not be possible to post daily in an art channel, but you have to do your best to post regularly. Once a week would be ideal for an art channel. ​Optimizing your videos for SEO (search engine optimization) – make sure your videos have interesting titles and descriptions that are also keyword rich. Youtube relies on you telling it what your video is about in order to show it to relevant search results. It won’t know if your video is about a cute dog or about religious beliefs in the 1800s if you don’t mention it in your title and descriptions. Eye-catching thumbnails that pique the curiosity of viewers and work hand in hand with your title to explain what the video is about. Who is Youtube a good fit for…? • People who love video content and want to turn themselves into their brand and not limit it to their art exclusively. • Determined artists willing to put in the work to create content regularly and consistently, optimize it properly and do whatever it takes to make it succeed. ​Who is Youtube not a good fit for…? • Artists who give up easily when they put a bit of effort and they don’t see immediate results. Youtube takes time but it’s very rewarding when it pays off. 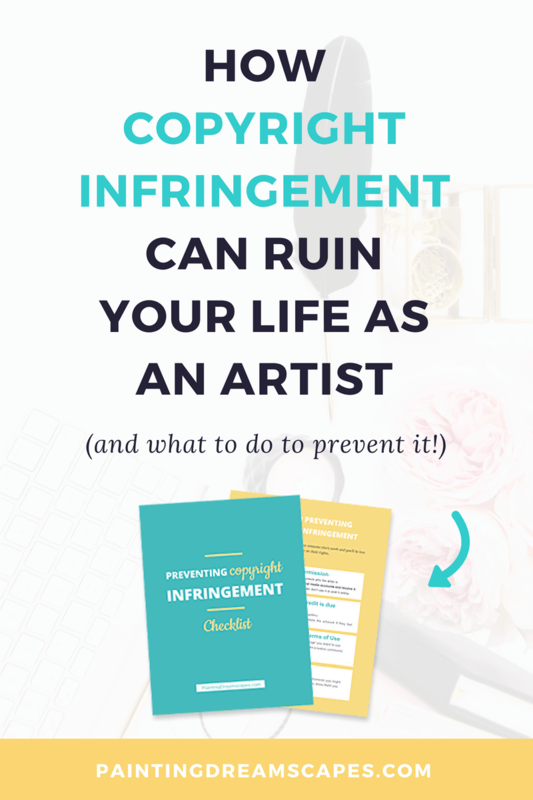 • People who just want to post stolen videos from other artists to make a profit off their work. Don’t do it, yo. There is no better place to showcase your art than your own website or portfolio. The place where only your art is exposed. Where your art takes the spotlight. Nothing to distract the viewer from your beautiful works. Nothing that makes them think you’re an amateur. ​​​You have your own website and it looks professional. Anyone visiting it would know you mean business. You are a serious artist determined to succeed in this creative ​​​​​world. I don’t just say this as an artist. As CEO of Artcorgi.com I have to review applications from artists who want to join our network. And, I’ll tell you something. Although what matters the most is their art and skills, there’s a huge difference between seeing someone’s work in their own website and being sent to their Twitter feed. Yes. No kidding. Twitter feeds. Again, don’t do it, yo. It speaks volumes of you as an artist when you don’t take the time and effort to create a place where you can showcase your best artworks. Especially if you plan to apply for a job. They’ll take you seriously if they see you care about making a good impression. 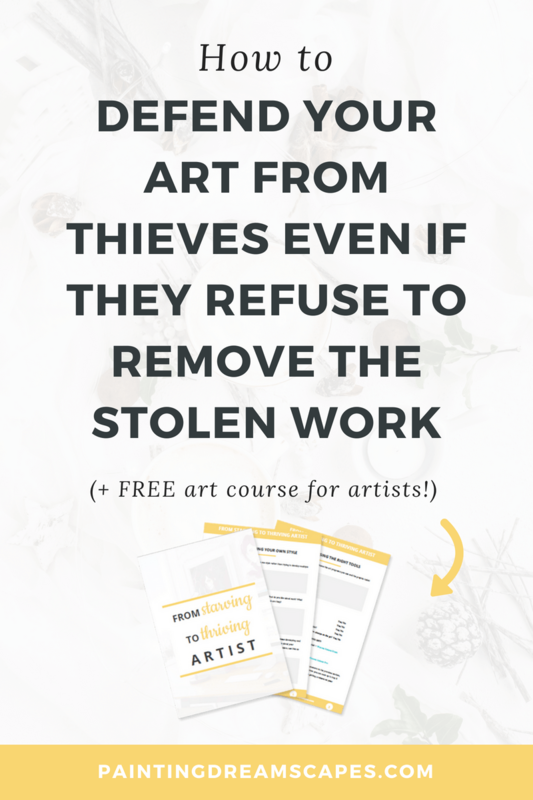 About making it easy for them to browse your art and your qualifications. But, how do you create your own website? Especially if you have no coding or designing skills? Spoiler alert: You don’t need either of those. • WordPress – You’ll need to purchase hosting through ​Siteground and once your little corner of the internet is ready, you’ll be able to install WordPress on it. Your site will be ready soon. 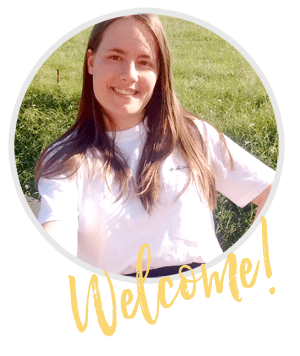 • SquareSpace – this is a good option if you want to design your site with ease and without having to use any coding or dealing with the back-end of your site. • I recommend purchasing your domain from Namecheap since the price stays the same year after year and they give you free domain privacy protection against spammers. • Choose a professional name. Don’t go with “pokemonfan33” when you could use “namelastname.com”, “artbyyourname.com” or something along the lines. A professional website with an awkward domain name won’t serve you well. 3. Choose a theme for your website that looks appealing, has everything you need it to have and showcases your art nicely. • Don’t go with a theme that is full of decorations and colors everywhere, they will draw attention from your art. Your art should be beautifully exposed. Are you interested in having your own website for your art? If so, stay tuned for my next post. I’ll show you exactly how to set your own website up, step by step. No coding required! ​who is it not recommended for? 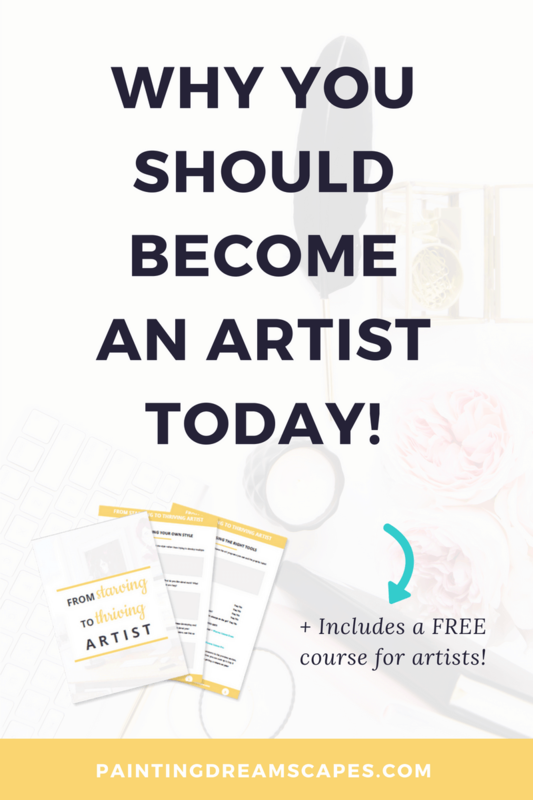 • Artists ​who are in the first steps of their journey and would benefit more from surrounding themselves with other artists in diverse online artist communities. 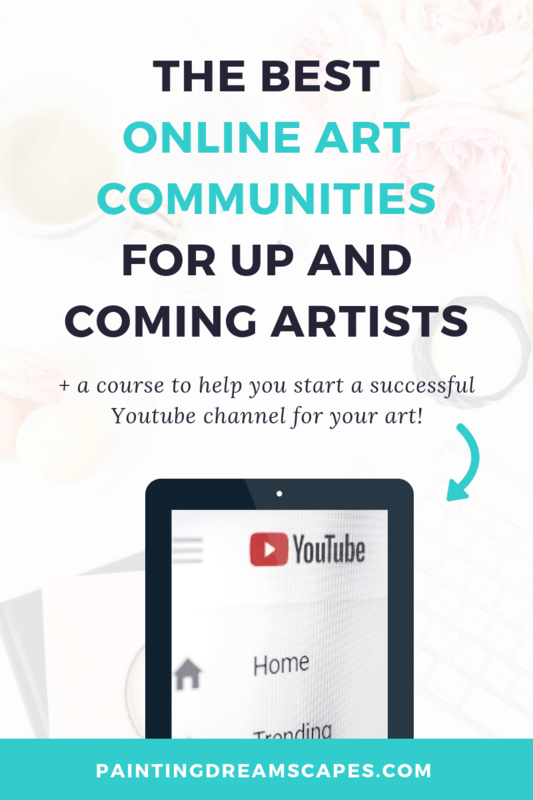 These are the online art communities that I recommend the most for up and coming artists that want to grow an audience. Each one is more fitting to one type of artist than others, so be sure to choose them wisely. You don't need to be everywhere, you need to be in the ​art sites where you're more likely to grow the audience you want. Whether that is deviantART, Artstation, Youtube or even our own website, is up to you to decide! 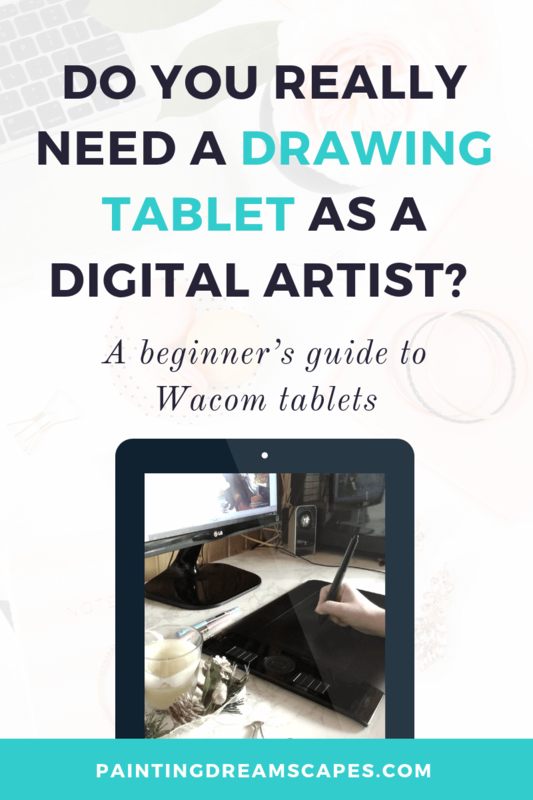 Which of the ​online art communities I mentioned do you prefer? Are you already in any of them? Which one would you like to tackle next? Let me know in the comments below! About that story… I chewed the stone. Told you I was DUMB.